For Michael Rielly, portraying the role of Santa Claus comes with great responsibility. His first appearance as the Jolly Old Elf was in the third grade in 1971. Over four decades later, Michael is still bringing merriment and joy to children and adults. Over the years, Michael has received numerous accolades on his faithful portrayal of Santa Claus. He has a deep knowledge of Christmas traditions and the Santa Claus legend. With his warm smile, sparkling blue eyes, and a love for all children, Michael is the embodiment of the true spirit of Santa Claus and has had the good fortune of spreading goodwill and cheer to thousands. Michael takes NO payment for his Santa Claus appearances. All donations go to the James D. Rielly Foundation in support our mission and are tax-deductible. Your donation will help us in bringing unconditional love, hope, and joy to those in need. Michael Rielly is known worldwide throughout the Santa Claus community and has spoken at various local and national Santa Claus conventions. 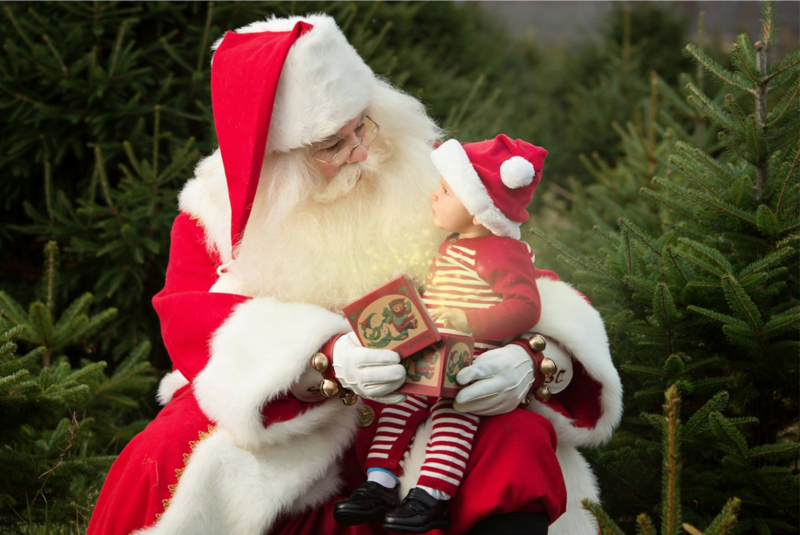 He has been recognized as “Rhode Island’s premier Santa” and an “expert in Santa Claus and all things Christmas”. Michael holds a “Bachelors of Santa Clausology” from the St. Nicholas Institute and the International University of Santa Claus, and a “Masters of Santa Clausology” from the world famous, Charles W. Howard Santa Claus School. Michael has an independent third-party background check with a molestation rider conducted annually and maintains a $2,000,000 Santa liability insurance policy to assure your safety. Michael Rielly has worked as Santa Claus at fundraising events, trade shows, tree lightings, parades, and in advertisements, corporate videos, and television commercials. He is available for personal appearances, media interviews, corporate visits, speaking engagements, commercials, as well as private parties and home visits. Michael Rielly is a professional speaker with a background in acting with on-camera experience. He has presented in front of large audiences at trade shows and conferences and has Emceed at various events. Requests for visits from Santa Claus can be made by other non-profit organizations, the media, or by individuals. © James D. Rielly Foundation, Inc. All rights reserved. James D. Rielly Foundation is a tax-exempt 501(C)(3) nonprofit organization recognized by the IRS.